Dubai – just the name of the city can produce the images of monumental skyscrapers, colorful lights and a vibrant atmosphere. While Dubai represents all these things, it is not limited to them. It is a city deep rooted in its culture and traditions although it is at the peak of growth and development. 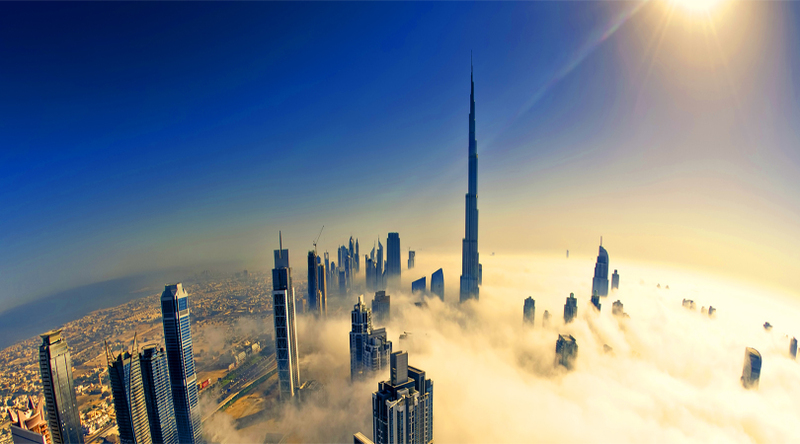 Due to all these factors, Dubai today is one of the most visited cities in the world. Read more about Your Ultimate Travel Companion to Amazing Dubai. The city of Dubai offers a myriad of tourist attractions from mosques to malls to beaches. With so many options, it becomes difficult to choose the places to visit. If you are a resident of Dubai, you have all the time to visit every corner of the city. But for a tourist, this is not possible. Hence, we present to you the top 10 tourist attractions in Dubai. Dubai has always been at the top for producing marvellous buildings, and Burj Khalifa is the fine example for the same. Known as the tallest building in this whole world, it is an iconic landmark of the city. Standing at the height of 829.8 m, the building has 163 floors. The 124th floor of the building is the observation deck where you can view the skyline of the city from a bird’s eye view. You can also learn about the experience of building this architectural marvel. You also get the opportunity to enjoy a ride on the fastest elevator in the world. To avoid standing in line for the tickets, it is best to book online. There are several travel and tour companies that would arrange tickets for you. It is important to know about the history and traditions of a place to really understand its culture. 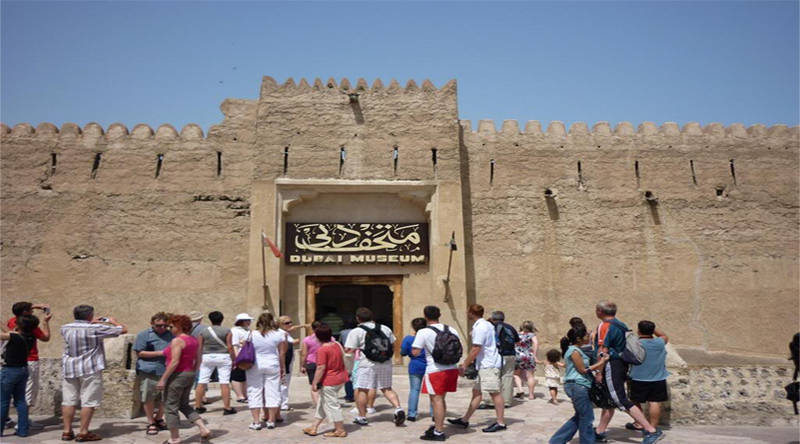 And the Dubai Museum is one of the perfect places to go to if you want to learn about Arab history and culture. 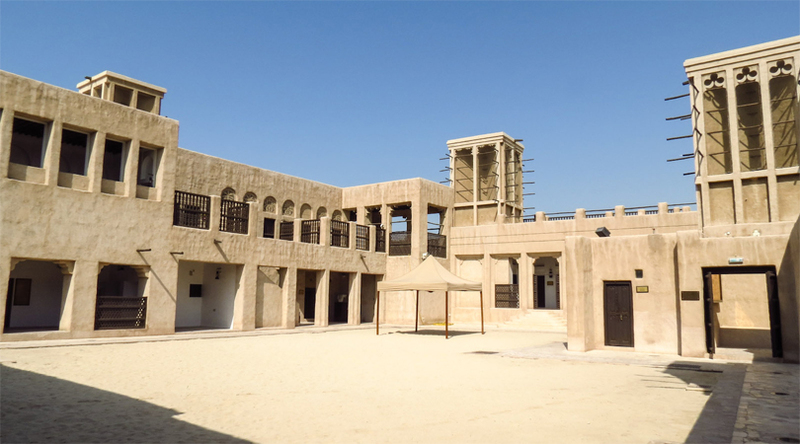 The Dubai Museum is housed inside the Al Fahidi Fort, which was the residence of Dubai’s royalty in the past as well as the seat of the government. Today, it preserves the history and culture of the place. Right from the weapons to the traditional boats and musical instruments, everything is displayed in this museum. You can also take a look at the occupation, attire, ornaments, etc. of the past. There is no better place to go to if you want to learn about the Bedouin culture in detail. There is also an audio-visual that shows the growth of the city of Dubai from a desert land to the modern city that it is today. 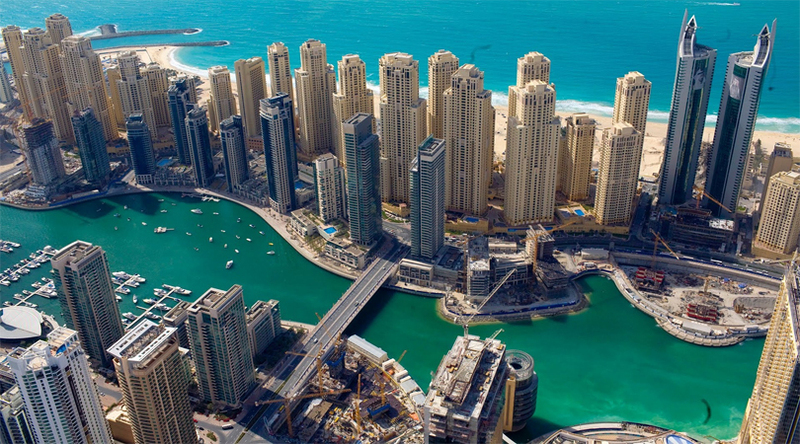 Dubai Marina is a relatively new development and is also the largest manmade canal city in the world. Also known as the new city, this place consists of luxurious residential apartments, five star hotels, several gourmet restaurants and bars, sophisticated malls and a variety of entertainment options. There is the dhow cruise Marina dinner where you can watch the Marina skyline as well as the several luxurious yachts. The Mall of Emirates in this area has all the shopping, eating and entertainment options including a large indoor ski park and snow world. Even if malls and cruises do not interest you, walk on the Dubai Marina promenade where you can see beautiful views of this canal city. 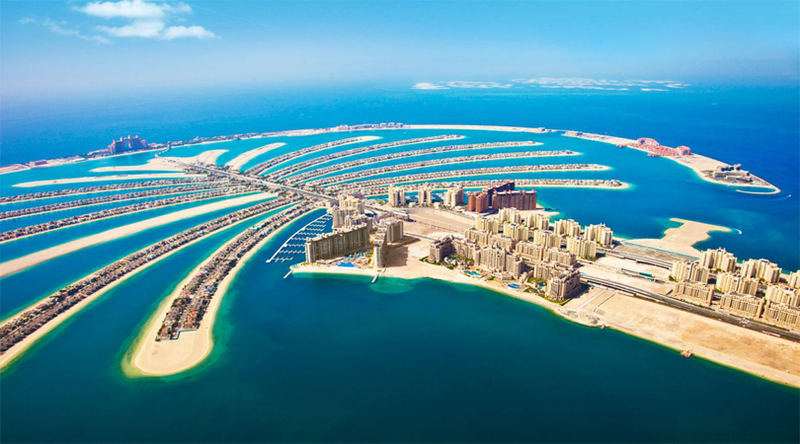 Another modern wonder of the city is the Palm Jumeirah, the largest manmade island which is shaped like a palm. The trunk and fronds of this miraculous island is home to several residential homes, hotels, restaurants and a water park. The crescent at the head of the island is where the prestigious Hotel Atlantis the Palm lies. While the entry to some of the areas is restricted, you can drive or walk around some of the places to observe the sights of the place. However, if you want to enjoy the actual shape of the island directly, go for a helicopter ride or if you are one who loves adventure, try sky diving. These are undoubtedly the most exciting ways of seeing the Palm Jumeirah in all its glory. Dubai being a part of UAE, an Islamic nation, is also home to several mosques. These mosques do not just have religious significance but also represent the culture and heritage of the place. 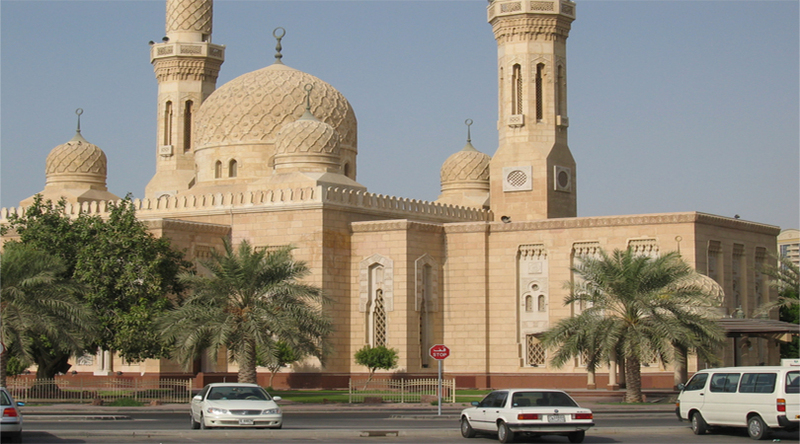 One such mosque is the Jumeirah Mosque which is a great symbol of Islamic architecture. The entire structure is built in stone, complete with intricate designs. You can observe the Fatimid tradition in the structure which was quite popular during the medieval period. Although the mosque is beauty personified, it increases ten-fold during evening time when the place is illuminated with floodlights. It is a place you must not miss, especially if you are not a Muslim because it is the only mosque in Dubai where people of different religions are given permission to enter. To gain more knowledge about the mosque and the Islamic faith in general, you can take part in guided tours organized by Sheikh Mohammed Bin Rashid Centre for Cultural Understanding. 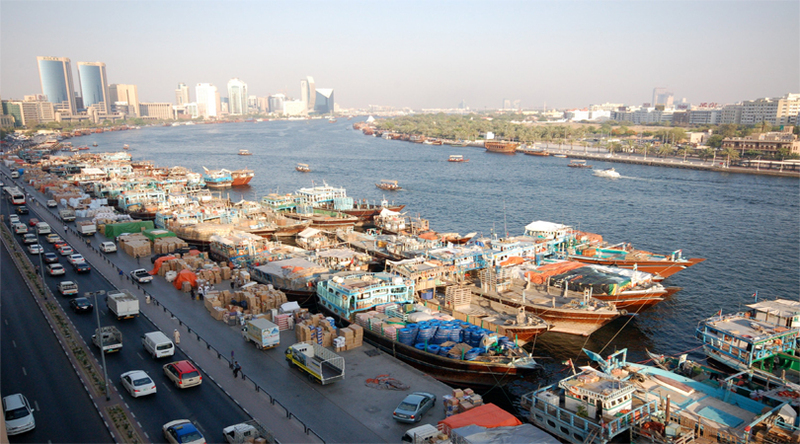 The Dubai Creek is a place of great historical significance. It is on the banks of the Creek that people started to settle in the beginning mainly for occupational reasons, for fishing and pearl diving. This creek which divides the city into Bur Dubai and Deira is still used for trading. You can watch the sailors loading and unloading the cargo on and off the dhows, which are the traditions boats used by the Arabs. The area along the Dubai Creek has some of the historical buildings of the city and a walk along the Creek would be an interesting experience. If you want to enjoy the sights along the creek in a leisurely fashion, go on a ride on an abra or a dhow cruise creek dinner. This would make your trip to the Dubai Creek more exciting. Your visit to Dubai remains incomplete without a trip to the hugest shopping mall in the world, the Dubai Mall. Be it shopping, entertainment, food or adventure, this mall provides all these in complete abundance. There are more than 1200 retail stores here, some of which belong to international brands. The food court is an area where you could feast on every kind of fast food available on this planet. Apart from this, there is an in-house aquarium and underwater zoo as well as a multiplex theatre. While you can spend your entire day in this marvellous mall, you must head outside as the sun sets to watch the amazing light and sound show at the Dubai Fountain. 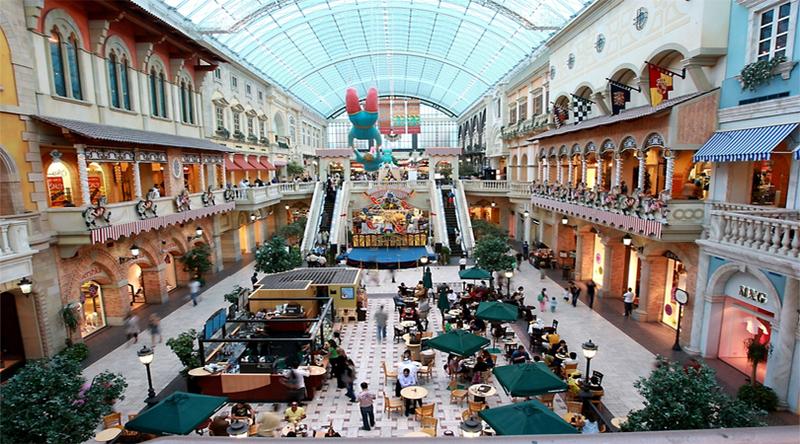 The Dubai Mall is a great place to visit especially during the day when the heat hampers your sightseeing plans. The Burj Al Arab was the tallest building in Dubai before the arrival of the Burj Khalifa. However, this does not mar its significance or its popularity in anyway. 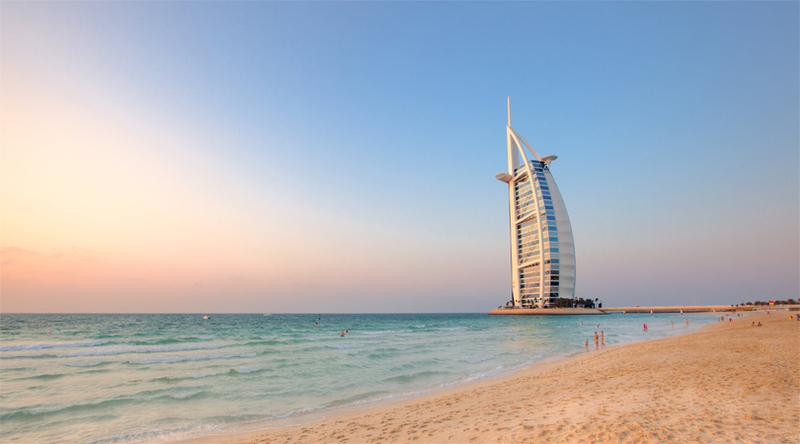 Known as the only seven star hotel in the world, the Burj Al Arab exudes sophistication, luxury and opulence. You can either book a plush suite in this hotel or plan to dine in one its several restaurants. The Skyview Bar on the 27th floor of the hotel is most popular for its splendid brunch while the Al-Mahara restaurant is a one-of-a-kind restaurant as it is right inside an aquarium. The Majlis Al Bahar is another restaurant option where you would be seated right on the beach next to the Burj Al Arab. Along with the delicious Mediterranean food, you can watch the sail shaped building of the Burj Al Arab. 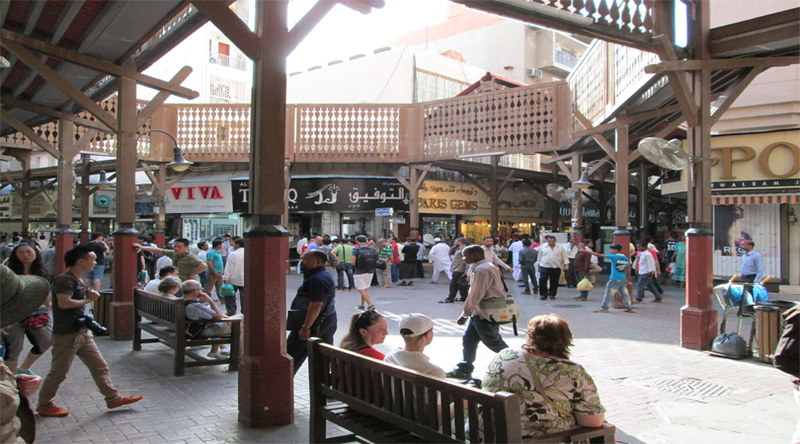 Souks are traditional market places, and Deira Souks have been in existence since the 1800s. Visit the Deira Gold Souk, which is also the biggest gold bazaar in the entire world, to see the largest collection of gold items. If you like something, do not shy away from bargaining before paying the final price. The Deira Souq, which is situated on the northern side of the Dubai Creek, also has a spice souq where you would find every type of spice known to mankind. Even if you do not wish to buy anything, just walking through the place would be a real delight as you would be able to observe wind-towers, wooden archways, etc. The Sheikh Saeed Al Maktoum House was the royal residence during the rule of Sheikh Saeed Al Maktoum, who is the grandfather of the present ruler. Although the place has been rebuilt, it is the exact replica of the earlier building and incorporates all the elements of traditional Arabic architecture. The gypsum ventilation screens with designs of geometrical figures and flowers, the carvings on the teak doors, etc. are the highlights of this building. Today, this structure acts as a museum that preserves all the significant things that happened in Dubai during the years between 1948 and 1953. It houses some of the rare pictures of then Dubai and also letters, stamps, coins and maps that show the growth and development of this Emirate city. The top 10 best places for sightseeing in Dubai mentioned here are a culmination of what Dubai is all about: a neat mix of the traditional and the modern. It is a city that guarantees to provide you great fun and hence is perfect for a holiday. So, plan a trip to this splendid city soon.